Of course the ideal situation would be to have a class set of iPads, but the reality for most teachers is that they may have access to only ONE and in many cases it’s a personal iPad. So if there is only ONE, what are some ways that it can be integrated into the classroom? First and foremost, you must have an LCD projector. Apple TV – Project what is on your iPad screen through the Apple TV. The Apple TV device must be connected to the Wifi or by ethernet cable AND hard wired to the LCD projector. This first set of ideas was adapted from Farrah’s blog, Think Share Teach. Small group instruction-There are countless apps that can be downloaded for free or at very little cost that are beneficial for a small group of 4-6 students to work on together. The children at the small group table take turns (round-robin style). While one child answers the question/problem on the iPad, the others work it on white boards or with manipulatives. The iPad gets passed around the table in a clockwise motion and we continue this until everyone has had at least 2 turns. Paired with Document Camera– Place the iPad under a document camera and project the iPad’s screen. One or more students can take turns clicking the iPad. As a Center Activity-If it’s not being used with small groups (or maybe after we’ve finished), sometimes I allow small groups of students to take turns playing games on the iPad in groups of 2-4. (I love this idea for school-purchased iPads, but as the one I have is my personal iPad, I do this sparingly). As an Interactive Slate-With the Splashtop app ($4.95) or Doceri, I can control my computer with my iPad. This allows me to walk around the room and use my iPad as an interactive slate. Instead of having students come to the board to click, drag, write, ect…They can do the same things from their seats on my iPad! This allows for even more interactive lessons because of the time efficiency. The Educational Technologists who work with these schools polled teachers and received some wonderful responses for how to use one iPad in the classroom. Here was the question posted via a Google Form and some of the most often shared responses are below. • Name on a list / Checklist of names to ensure equity of use / Names on sticks – pull one a day and that students gets to use the iPad until all students have had a turn. 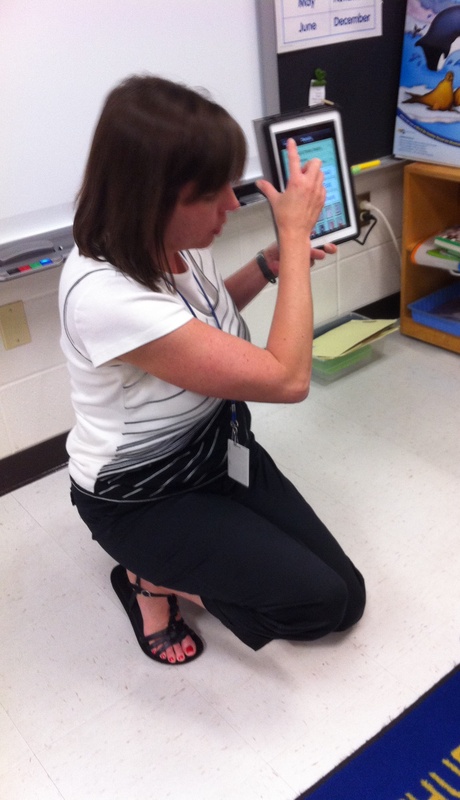 • Rotation schedule for centers / Rotate through 2 centers a day so 4 – 5 kids use the iPad. 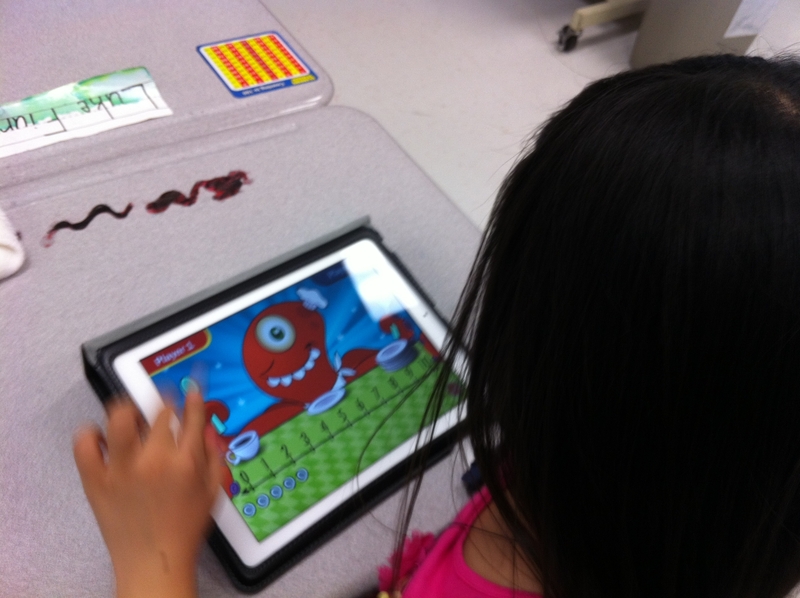 / 1 – 2 students work on different education apps during center time.